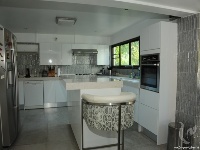 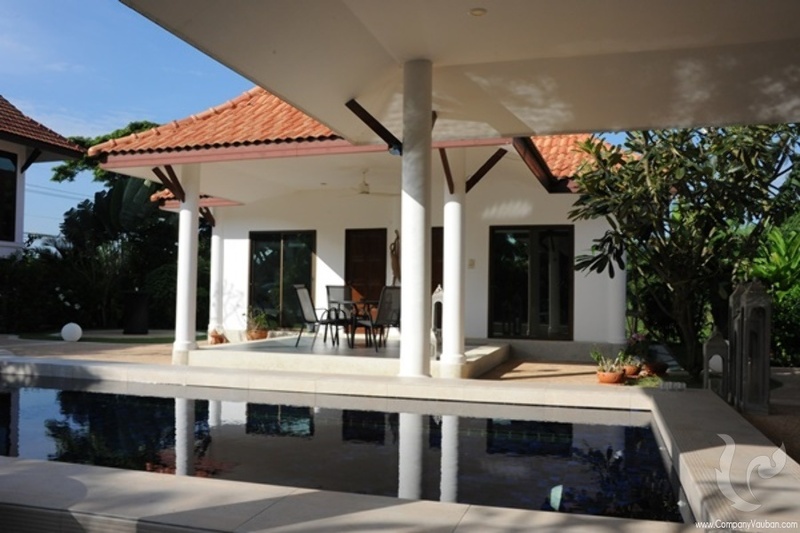 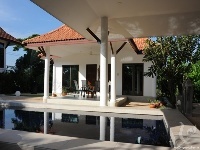 Beautiful two-storey villa, living area 290 m², land area 1000 m² with an amazing tropical landscape. 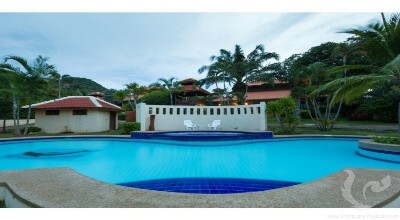 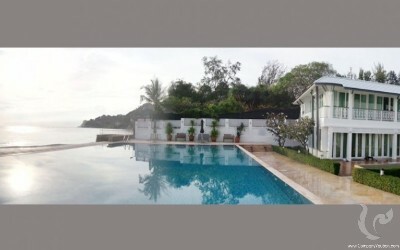 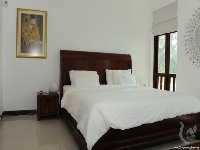 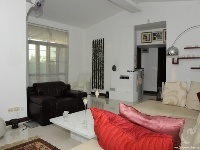 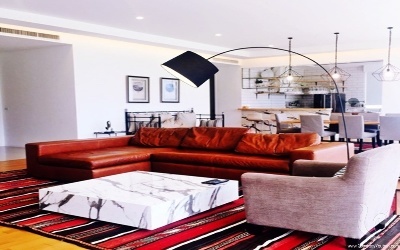 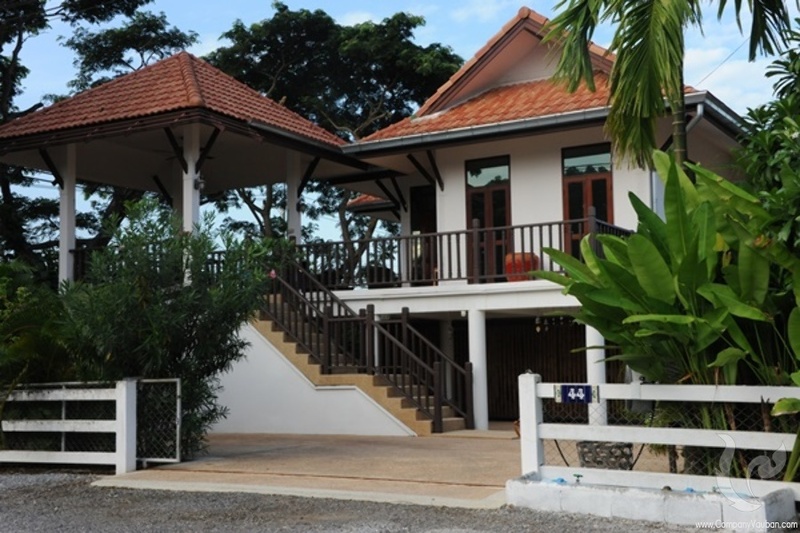 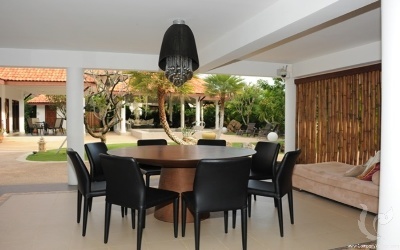 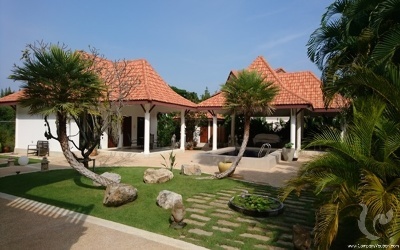 Quiet environment located at 15 min from the center of Hua Hin. 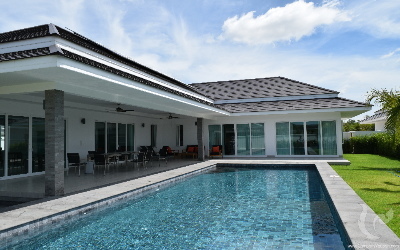 Villa 4 bedrooms, 4 bathrooms, air conditioning in all rooms, CCTV, WI-FI, carport, huge western kitchen, many storages, private pool, big cover terrace and sala. 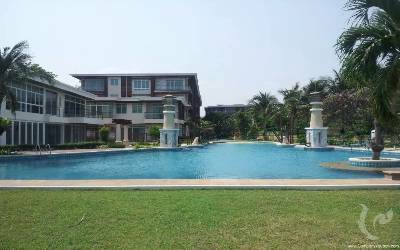 Common pool and fitness in development.